Copyright © 1995-2018 by DIAM, Inc. USA & legal owners. All rights reserved. No part of this publication may be reproduced, distributed, or transmitted in any form or by any means, including photocopying, recording, or other electronic or mechanical methods, without the prior written permission of legal owners, except in the case of brief quotations embodied in critical reviews and certain other noncommercial uses permitted by copyright law. For permission requests, write to DIAM, Inc., addressed “Attention: Permissions Coordinator”, using the "Contact" link of this web site. USA: Digital Millennium Copyright Act. Europe: European Union Copyright Directive (2001/29/CE). DTK (Diam Tool Kit) is the property of legal owners. 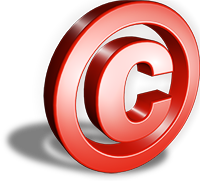 Copyright © 1995-2019 by DIAM, Inc. USA, rightholders and legal owners.